Slice the loaf of bread in half lengthwise. 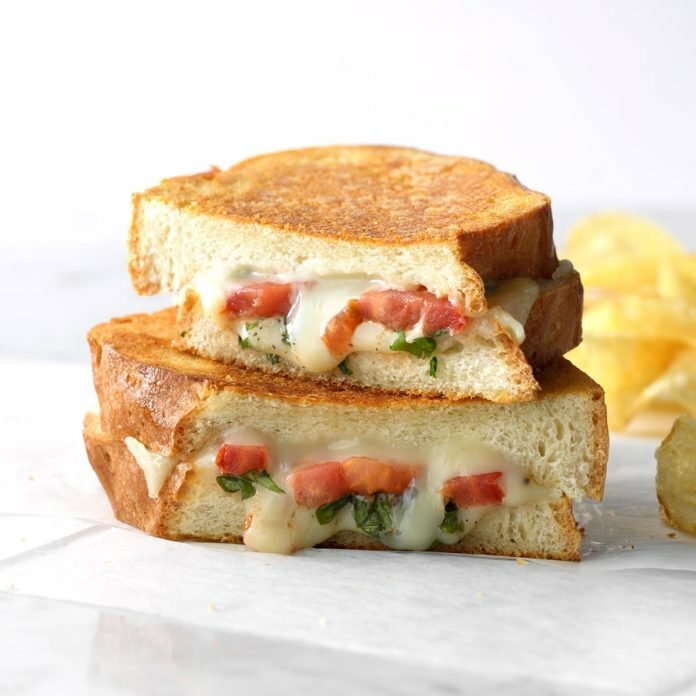 Layer the basil, tomato slices, and mozzarella cheese between the two halves of bread. Put some butter in a pan and heat it up slightly (on medium heat). Once ready, add the sandwich, bread down. Let sit for 1-2 minutes. Check regularly. Once golden brown on the first side, flip over and repeat. In a small dish, stir together the balsamic vinegar and red pepper flakes. Use as a dipping sauce.